It is against my better judgment to wade into a Foreign Policy dispute such as this one, so distant from State or Local politics, but the current ongoing issues in the Middle East have prompted a desire for me to explain my positions. Facebook and other social media platforms are replete with abridged sound bites, all of which do not do this controversy justice. Contrary to what many of my old High School classmates have shared on their profiles, a abominable five-minute explanation by Dennis Prager, the issue necessitates a thorough discussion. Let me start out by explaining the ongoing crisis, for those apparently oblivious to international news. After incessant rocket fire from the Gaza Strip –one of the Palestinian territories, which (unlike the West Bank) is not occupied by Israel– into southern and central Israel, the State retaliated with bombing campaigns to take out the rocket-launching sites, causing heavy casualties. After numerous attempts to facilitate a ceasefire failed, and Hamas militants in Gaza increased the frequency of the rocket attacks, Israel initiated a ground attack on limited targets today. The New York Times has a rather detailed and fair account of that story. The recent flareup intensified in the last few weeks, not only after terrorists affiliated with Hamas kidnapped and murdered three Israeli teenagers, but after three domestic terrorists in Israel murdered a young Palestinian boy. It is worth noting that the murderers of the Israelites are still at large, whereas the murderers of the Palestinian have been indicted on murder charges by the Israelis themselves. It is also worth noting that I have a couple of biases in this discussion. The first is that I’m a Jew. While not all Jews are Zionists, this one sure as hell is one. Being a Zionist simply means you believe that the Jews have a right to a homeland, free from persecution from others. It does not confer anything about where the land should be, how large it should be or if you are a supporter of the specific government within Israel. With that in mind, I proudly consider myself an individual who is “Pro-Israel,” though as I will later explain, I do not think that this is mutually exclusive with being “Pro-Palestinian.” As a member of a self-described “Pro-Israel” group, I have been involved with a number of groups that advocate from that point of view, including both J-Street and AIPAC, the two major Israel advocacy groups. I typically find J-Street to the left of my personal opinions, and AIPAC to the right, but believe that both groups fulfill an invaluable function. Particularly with AIPAC, whose ideological differences with the leadership thereof are admittedly larger, I find it important for liberal peaceniks such as myself to represent differing points of view at conferences and other events, so as not to cede authority on this issue to the right-wing. So then, what exactly is the core issue here? First, we must examine the underlying dispute to the land in question, and my take on the matter. The most ruthless and zealous supporters of the Israeli side point to biblical foundations of Jews within the land. Indeed, it is true that Jews administratively controlled the land for many centuries BC, but Muslims –be it Arab caliphates or Turkish emirates– administratively controlled the land for far longer. In my opinion, squabbles over ancient ownership are completely useless. Starting in 1882, when the Ottoman Empire still controlled what is now known as both Israel and Palestine, Jews immigrated by the tens of thousands –legally– into the region. They bought land and settled in previous uninhabited desert. In the years before World War I, a second wave of immigration occurred, followed by three more waves between the World Wars. The Jews founded cities where none had stood before, namely Tel Aviv. 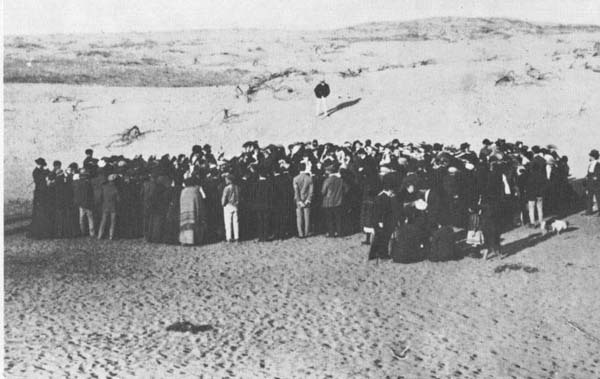 In 1909, a few dozen families literally gathered in the desert to start what would become the centerpiece city of their future State, as is depicted below. It wasn’t until World War II that illegal immigration to the area by Jews began. However, this was not about fears of the nefarious Jews taking someone else’s land, but because requests for emigration out of Europe shot up through the roof during that era…for obvious reasons. In 1948, after a partially failed partition plan by the United Nations, a Jewish State was declared in about half of what is now known as Israel. A war soon broke out, and there’s been fighting ever since. I won’t bore you with any more of the history, that is a rabbit hole that could fill books, but it is important to note that the Jews did not come in and just take land. They legally immigrated and settled, largely in the desert. Only after wars did they accrue territory. The offensive wars undertaken by Israel, be it the Suez Crisis or the Lebanon War, results in no land gains. With all that in mind, one looks back at the Gaza Strip. Israel conquered the area after the 1967 Six-Day War. They directly controlled it until the implementation of the Oslo Peace Accords in 1993, which ceded some control to the Palestinian Authority. At that time, all power was vested in the comparably-moderate Fatah Party, at the time controlled by Yasser Arafat and now by Mahmoud Abbas. In 2005, Israel unilaterally withdrew from Gaza, led by then-Prime Minister Ariel Sharon. The next year, Hamas terrorists won a Democratic election to lead the region. They then exterminated the remaining vestiges of pragmatic Fatah leadership from the region. Ever since, they have been launching rockets into Israel, always targeting civilian centers. Israel has responded thrice heavy-handedly: in 2009, in 2012 and in the last couple of weeks. Hamas launches their rockets out of schools, mosques and homes, and deliberately uses human shields in an effort to maximize casualties and garner international sympathy. Israel arguably does more than any other country on earth to minimize the civilian casualties it causes, but it is often no use. They drop leaflets, send text messages to residents and even drop dud bombs on the buildings they will attack. Freely giving away your battle strategies like this in an effort to spare bloodshed is nearly unheard of in warfare. Israel, on the other hand, goes to excessive lengths to protect its civilians. Every city must have adequate bomb shelters and air raid sirens. Furthermore the State (with US financial assistance) has invested millions in a so-called “Iron Dome.” which sends counter-missiles to take down rockets before they may harm the population. Honestly, this conflict is completely one-sided. Surely, Israel is complicit in certain excesses, and definitely should do more to prevent loss of life. But the core tenet of this all is that Hamas terrorists are firing rockets –an undisputed act of war, if I ever saw one– into Israel. Does Israel not have a right to defend itself? Of course, we should debate over the extent of the response, but what should not be up for debate is that Israel, like any other country on the planet, has the right to defend itself from existential threats such as this one. 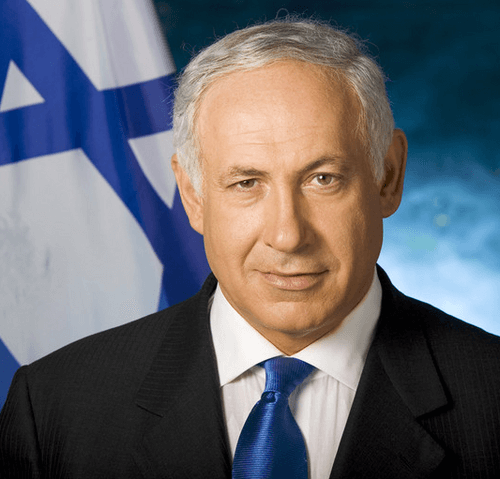 And let me stipulate, I am not a supporter of the current Prime Minister of Israel, Benjamin Netanyahu. He is openly hostile to a two-state solution and is beholden to Ultra-Orthodox moronic interests, many of whom are just as crazy as Islamic fundamentalists. His political party, the Likud, is directly descended from the Irgun, a Jewish terrorist organization that orchestrated bombings and assassinations. The dominant pre-independence Jewish organization, the Haganah, actively repudiated these reactionary terrorists and outnumbered them. They, on the other hand, directly link to the Labour Party. That tells you all you need about Israeli politics. But opposition to a government is not grounds to discount any underlying truths about a country. My family and I were fervent opponents of George W. Bush when he was President, but that did not mean I mitigated my support of America against her enemies. The best solution is a demilitarized Palestinian State, based in the West Bank and Gaza Strip, with East Jerusalem as its Capital. All the Israeli settlements in the West Bank must be uprooted and removed, much as they were in Gaza. The Old City should be divided, such as the Muslim quarter (with landmarks such as the Dome of the Rock and the Al-Aqusa Mosque) being controlled by Palestine and the Jewish quarter (with the Western Wall) being controlled by Israel. If this deal sounds familiar it is because it is the exact deal organized by President Bill Clinton and Israeli PM Ehud Barak in 2000. Yasser Arafat, the Palestinian leader, rejected it on shaky grounds. Of course, Arafat is dead, and a similar concession offer should be made anew to Abbas. One concern, however, is that the West Bank turns into a source of rocket attacks if vacated. Today, though, the questions posed are not about comprehensive solutions, but sadly an impending ground invasion of Gaza. The invasion will be sure to cause casualties, and they will of course be tragic, but it is important to note how this came about. Israel is defending herself from attacks. Are they attacks overly harsh? Probably. Are the attacks defensive acts? Indubitably. The dialogue on this issue is dominated by right-wing idiots who claim Obama is somehow an Anti-Semite for being allegedly hostile to Israel by not being a lock-and-step supporter of their controversial government’s policy proposals. On the other side are equally imbecilic left-wingers who accuse individuals such as Obama of being some sort of shill for the nefarious Zionists, and they express solidarity with terrorists such as Hamas. I don’t know which is worse (actually, on second thought, the latter is), but both are highly unhelpful to the situation. Hopefully, I’ve staked out a position somewhere in the middle.